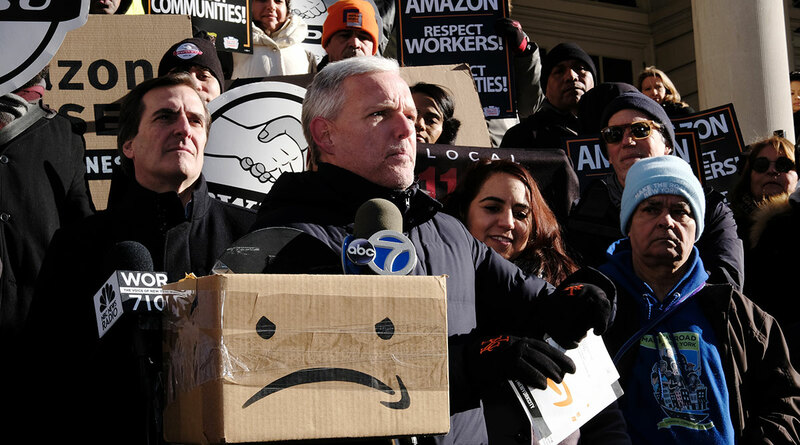 Amazon executives have had internal discussions recently to reassess the situation in New York and explore alternatives, the Washington Post reported Feb. 8, citing people familiar with the matter. The company hasn’t leased or purchased office space for the project yet, making it easy to withdraw the commitment. It’s possible the reported threat to withdraw could be a negotiating tactic, the Post said. Inside Amazon, all indications are that the company is moving full-steam ahead with its expansion in New York City, according to a person familiar with the matter. In Seattle, executives on multiple teams have been notified they’d have to relocate to New York City, according to two other people familiar with the matter. Amazon expected it would face the biggest public backlash to a new headquarters in New York City, Bloomberg has reported. Amazon chose the location anyway, since the city offered a large skilled-labor pool, and ample opportunities for spouses and partners of recruited hires to find employment to further their own careers, the person said. It’s building a similar project in Arlington, Va.
Amazon, run by the world’s richest person, was also eligible for tax breaks intended for poor neighborhoods, contributing to the local outrage. A company official said Jan. 30 that the company wouldn’t avail itself of the incentive. The deal hasn’t closed yet. It must be approved unanimously by the state Public Authorities Control Board. On Monday, New York State Senate Majority Leader Andrea Stewart-Cousins chose Senator Michael Gianaris, a Democrat who represents Long Island City, and one of the biggest critics of the Amazon deal, as one of three members of the board.